Premature tire wear is caused by poor Tyre inflation levels and improper tire rotation. Whereas correctly inflated tires tend to have durable sidewalls, underinflated tires often have flexible sidewalls that result in quicker sidewall wear. Overinflated Tyres are also undesirable and will result in excessive center tread wear. Wheel balancing has the potential to relieve some symptoms of improper tire wear, like excessive lean. However, improper tire wear may also be the cause of alignment issues. 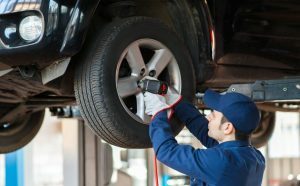 During any tire repair service, our staff will be able to determine whether a tire balancing or rotation service can solve your current set of issues. 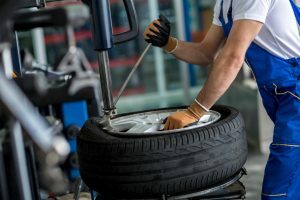 Because tire inflation is so important, our staff will take care to follow the inflation standards recommended by the manufacturer during a new tire installation.